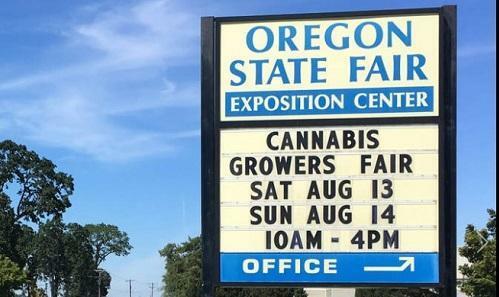 SALEM — From seed providers to a company offering mechanized bud trimmers, those involved in the once-illicit marijuana industry in the Pacific Northwest got ready on Friday for the first-ever Oregon Cannabis Growers’ Fair. Reggae music thumped from Savant Plant Technologies’ display as owner James Knox, 38, of Corvallis, set up his do-it-yourself grow package, including peat and microorganisms to stimulate plant growth, among more than 80 exhibitors registered for the two-day fair that starts Saturday. Oregon is one of four states to have legalized marijuana, along with Washington, D.C. “It’s nice for us to be stepping across the line and say, ‘Here we are, and we’re ready to do business,’” he said.